TAOS, New Mexico – During my week in Santa Fe, I opt for a 56-mile day trip to Taos (with my adventurous mom in the driver's seat). 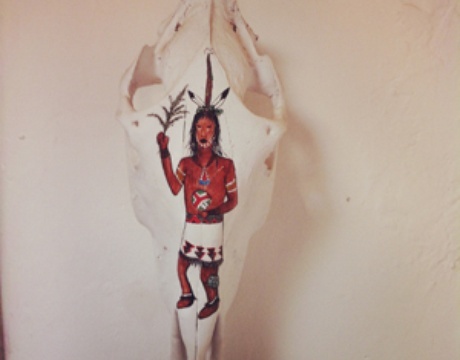 Taos is America's spiritual and historical past. Great artists and thinkers (Georgia O'Keefe, Ansel Adams, Carl Jung) have all passed through. So should you. 1. 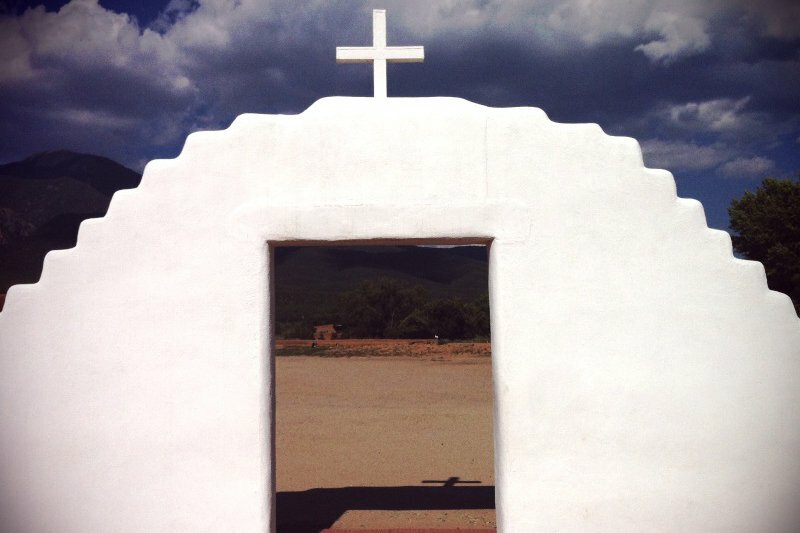 El Santuario, in the Spanish village of — a small adobe chapel where people gather for mass. There's a small room with a hole where visitors can procure "Holy Dirt" with magic healing properties. The afflicted rub the soil on their aches and pains. 2. The tranquil for comforting posole with shredded, slow-cooked pork and blue agave margaritas. 3. Small villages like Córdova (noted for its woodcarving), Truchas (the summit town), Las Trampas, and Peñasco. It feels like driving through a painting of dramatic peaks, valleys, and vistas encompassed by mysterious Sangre de Cristo Mountains. The adobe backdrop makes it uniquely New Mexican. The weather is perfect. It's sunny, cool, and dry. Roll down your window and soak up fresh air of the lush . 4. Lunch at or nearby . Afterward, perk up at , a dog-friendly hippie spot with gourmet coffee and a well-edited selection of black-and-white postcards. 5. Shop for a striking, hand-loomed Indian rug; Taos General Store (223-C Paseo del Pueblo) for trinkets, decorative items, and Indian goods; and, if you are in the mood, the outlet for tabletop and homewares (109 N Plaza Taos). 6. 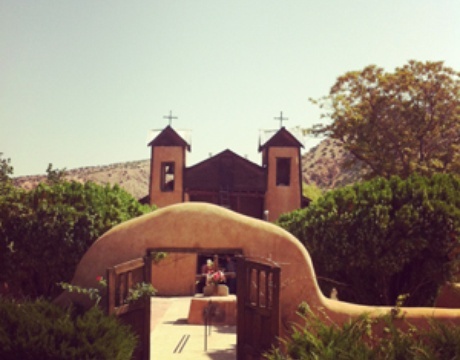 Check out , an awe-inspiring adobe architectural wonder that backs into Taos Mountain. The structure and homes, over 1,000 years old, form cinematic planes of action and brush against the landscape. 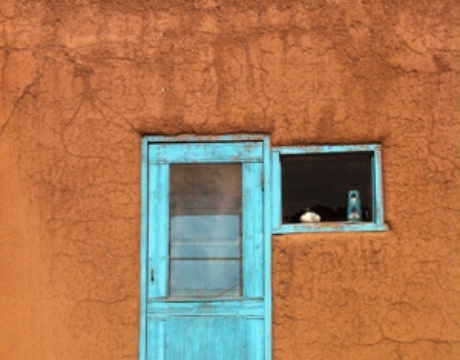 The turquoise pops against the earthy adobe straw. The shadows and sky rival anything I've seen. This is why I've come. To take walks along with the dirt paths, greet the loose (but friendly) dogs, visit the homes of Pueblo artisans, and receive an impromptu eagle feather blessing. To pick up smudge sticks of sage to purify any bad energy. And to meet artist and leave with a beautiful handpainted horse skull. 7. The magnificent , just twelve miles west of Taos, a fantastically high suspension bridge (where the wedding scene in Natural Born Killers was filmed). It's not for the faint of heart, or those with a touch of vertigo. If driving was ever poetic, it's a car curving along the winding road, past the alpine meadows and expansive horizon. Pull over (slowly, carefully, often) and soak in fantastic Aspen trees. En route back to Santa Fe, we move along the Low Road (State Route 68) which backs up to the Rio Grande. This time, look up at the mountains as the clouds take shape. It's easy to feel like you're in a movie — Thelma and Louise. Easy Rider. On The Road. It is exhilarating. Even with the seatbelt on. , for a welcoming, well-worn mainstay to hang your boots, and particularly awesome margaritas. , for a charming bed and breakfast. , for a creative nudge and/or to channel Dennis Hopper (he wrote Easy Rider while staying here). The is an artisan craft open studios that spans two weekends in September.